Let’s look at ways the Inner Critic blocks and confounds your writing. He may insist you produce an outline before you begin to write. Or he may insist you write only from your own life because, "How can you write about what you don’t know?" Or he might have you spending hours trying to find the right word, or shifting around sentences until you find yourself in a quagmire of grammar, thesaurus page-turning and general frustration. you look at the clock and discover you’ve spent an hour on a single paragraph, worse a single sentence, and the computer screen is mostly blank or the page is so scribbled on and crossed out and torn from erasing, you can’t read it anyway. That’s the moment when you throw up your hands or crumble your page into a ball or press the delete button thinking, "Who am I to think I can write? I can’t even find the right word. I’d do better going to Adult Ed and taking a grammar course. God, I’m stupid!" The good news is that’s not all of you talking; but it is a loud part of you. After being with you most of your life, you’d better believe your Inner Critic knows how to push all your buttons. Learning to identify your Inner Critic and his or her negative put downs is the first step to taking away its power. Remember, too, that the Inner Critic isn't always yelling and screaming. Sometimes its voice is very subtle, which makes it all the more insidious. If you've never thought about how your Inner Critic undermines your writing and creativity, think about it and then make a list of the negative thoughts you have about your writing. 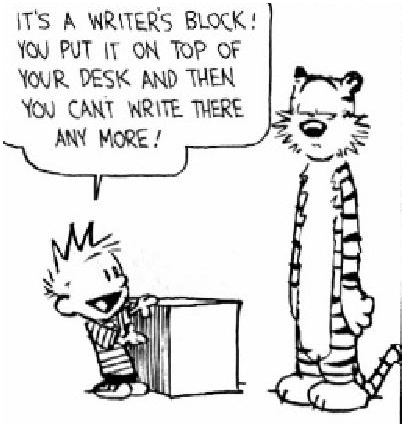 They're not coming from your Inner Writer, that much I can promise you!